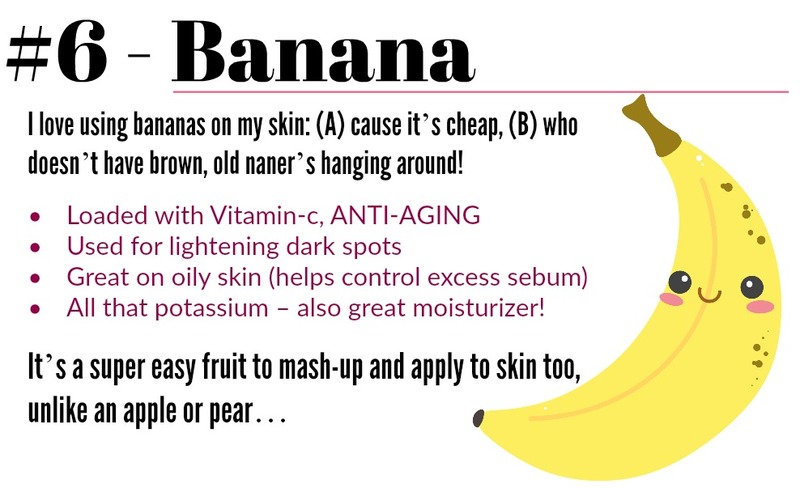 Another Monday, another DIY skincare share: BEST FRUITS FOR FACE MASKS! When mixing face masks, I never mix just plain: mask mix + water! I get fancy, always. So should you. One, very easy way to get started? Add FRESH FRUITS to your mix! Below, I’ve made it simple! 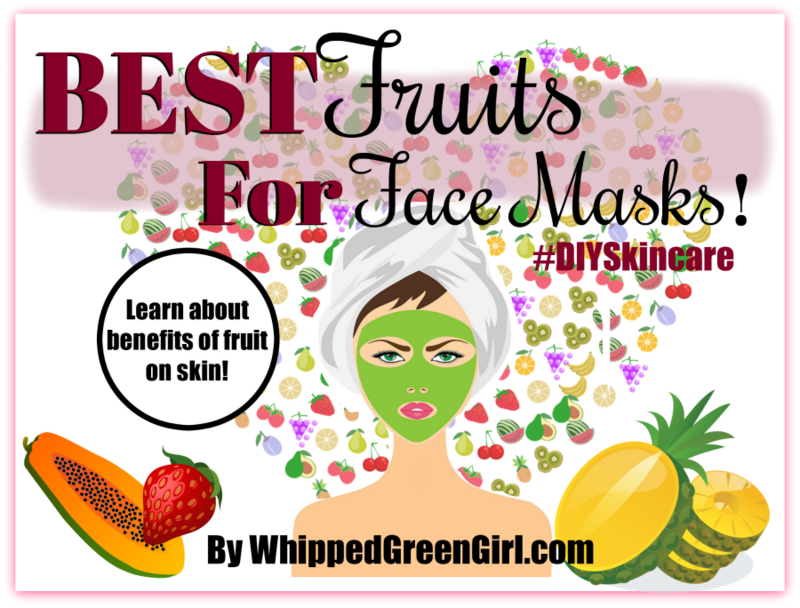 See my list of best fruits for face masks below (my personal “Top 6” picks!) Blending, super-charged face masks is so much fun. Especially, when you start to learn what your skin likes. Pick your fruit and MASH IT UP. Add to your mask mixes and you’re winning! 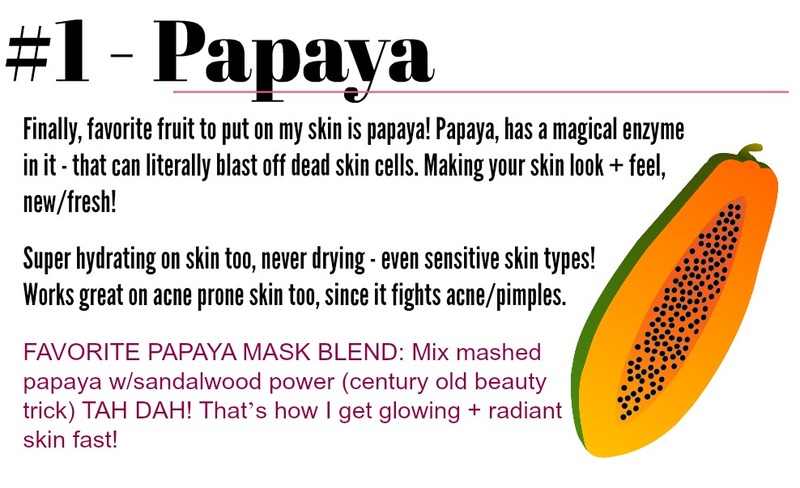 Voila, instantly you have a a supercharged mask blend! Your skin will soon be singing thanks for it. Not sure what fruits to pick, where to start? 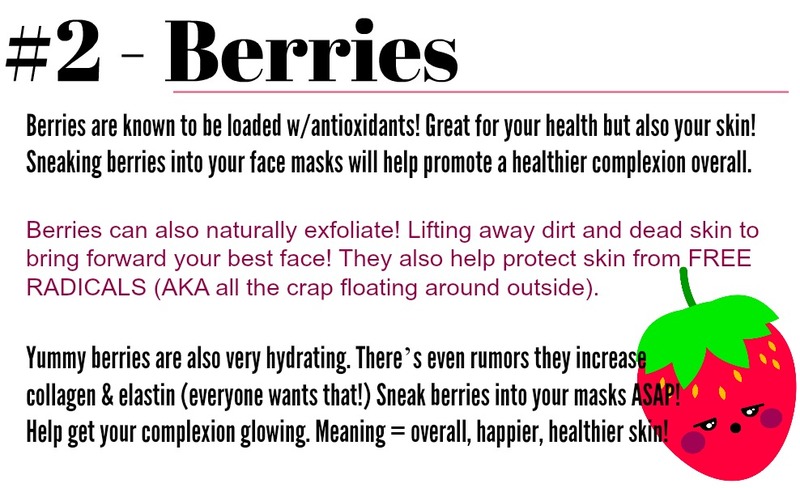 Here’s my list of top 6 favorite best fruits for face masks! SEE IT ALL IN MY YOUTUBE VIDEO! PLEASE DROP A “LIKE”, “COMMENT”, or even better “SUBSCRIBE”! BLENDERS are great for pureeing your fruits into a perfect consistency for face masks! When applying fruit masks, wash-off after 15 to 20 minutes, minimum. 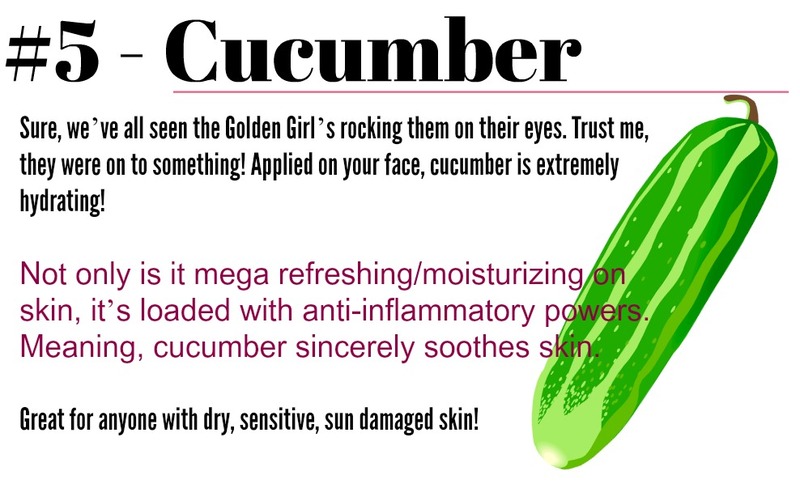 GIVE YOUR SKIN TIME to soak-in / eat all the goodness! 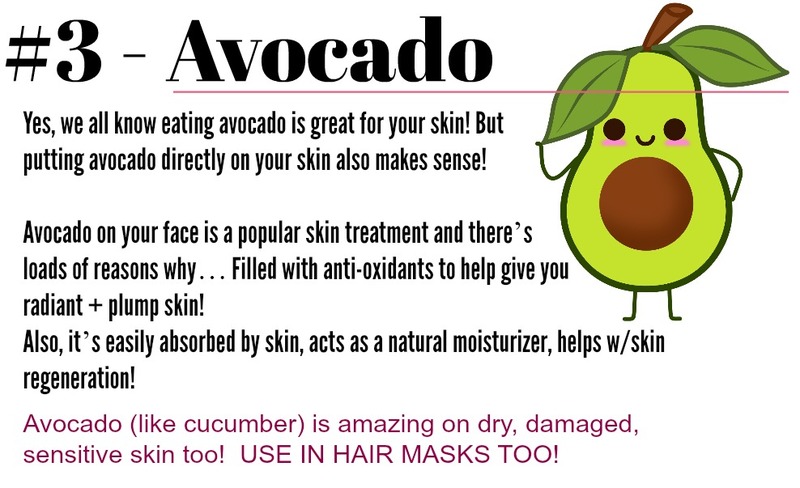 Again- have fun, DIY SKINCARE IS ALL ABOUT TRYING NEW SKIN FOODS! 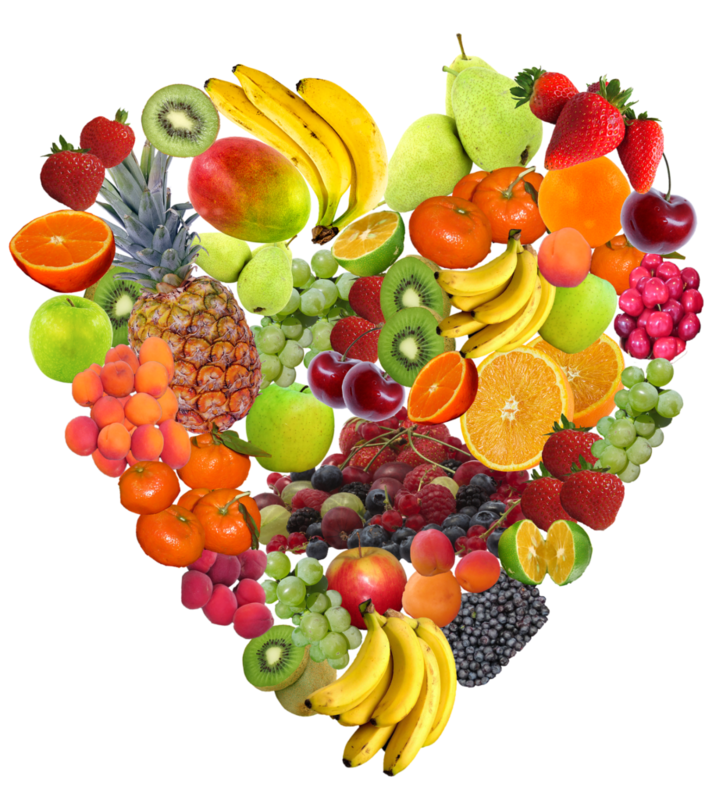 Think out of the box, feed your skin what your body likes too! Reap the benefits inside and out! Discard any leftover mask. or store in fridge. Use within 24hrs. 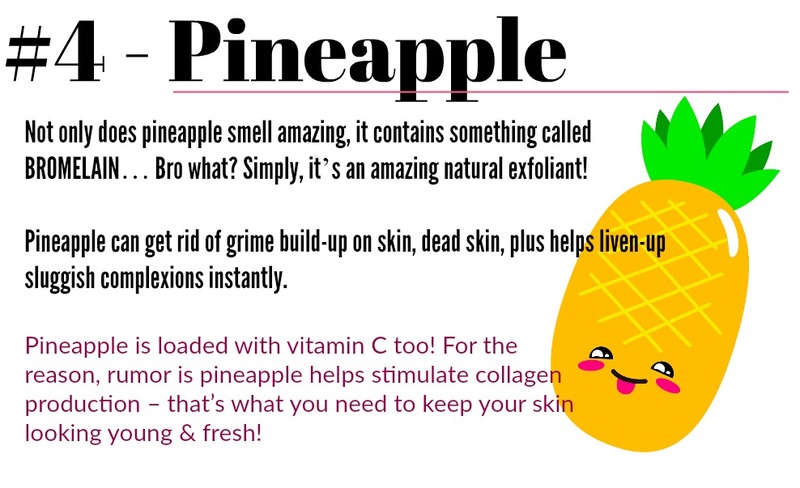 Who wants rotten fruit on their face! FOR THE BEST EVER INSTANT MASK – using any of the fruits above. Just mash-up your pick and add in HONEY! This treatment will rival any high-end, expensive, spa treatment! Your skin will show you!